Hot Rod / Ed Roth's "Rat Fink"
This is a really cool thread! Keep um coming. 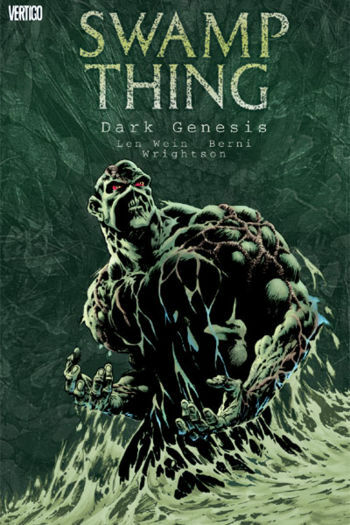 Sewer Sue is actually a parody of Swamp Thing. Keep them coming this is great guys!! 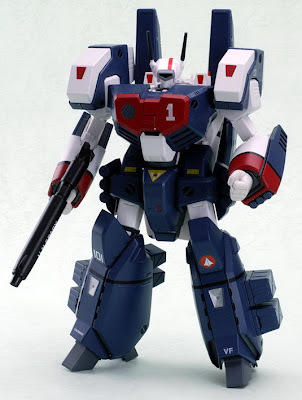 Man that Robotech is spot on. You are very good at this....do you know these off the top of your head or do you do homework? I know the art parody ones immediately ( i'm somewhat of an art nerd). I know alot about human marvels too, so I see them all over in GPKs. Some of them I recognize and then search for related images. 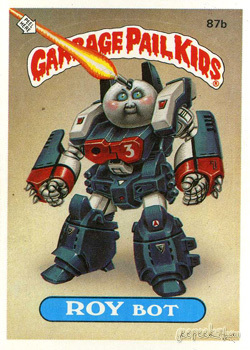 I saw that Guzzlin' gary looked like Spudz Mckenzie but was suprised to find a pic that looked exactly like the GPK. These are great - keep them coming! Buggin' BRANDON / "Trilobite Terror"
I have to disagree with this one. You can clearly see the air hole on Punchy Perry. He's clearly based on bop bags, not weeble wobbles. 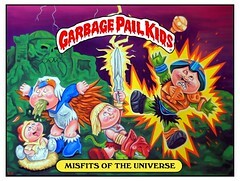 Wayne has a section similar to "GPK look-a-likes" called Reused Ideas. Thanks Spright, I love these.